What’s the hottest movie star in the world to do when she wants privacy for her wedding day? Pay someone else to stage a fake wedding half a world away, of course. 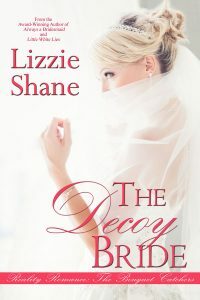 Struggling artist Bree has been the great Maggie Tate’s decoy for a while now, but when the movie star asks her to impersonate her for three weeks to distract the paparazzi from her real wedding she has no idea what she’s getting herself into. Especially when she realizes she’s going to be isolated in one of the world’s most romantic settings with the bodyguard she can’t stop drooling over.